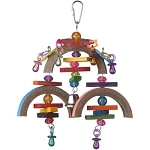 18 x 8 x 5"
You name it, the Jungle Bridge has it! 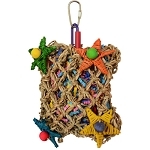 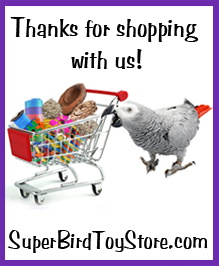 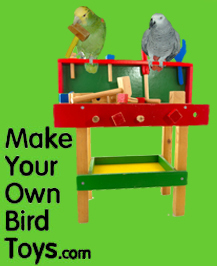 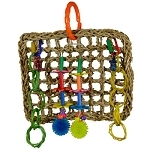 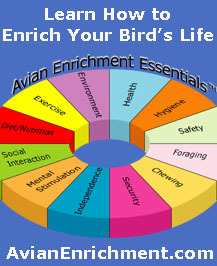 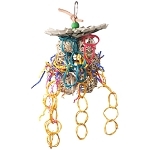 Bursting with enrichment items, this hanging toy is perfect for medium sized birds. 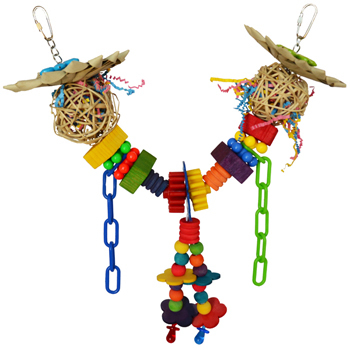 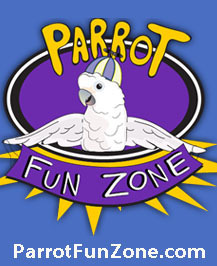 Palm flowers, vine balls, bumpy wooden blocks, smooth wooden blocks, flat shapes, round shapes, colorful crinkle shred, and eye-catching plastic charms will have your bird climbing, hanging, pecking and preening away.